This is the 16th Annual Healthcare Conference at Harvard Business School. 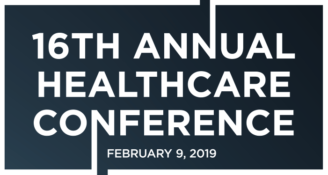 Addressing a broad array of healthcare topics across various sectors and bringing together students, alumni, faculty, and medical and industry professionals alike, the Healthcare Conference is one of the largest and most anticipated conference events on campus. This year’s conference theme, “Back to the Future of Healthcare,” has a special focus on the intersection of healthcare and technology. Given the better understanding of human condition enabled by tech capabilities, topics to be discussed include how can we improve the patient experience, speed up adoption of novel treatments, cut costs, and improve overall healthcare delivery. Feb. 9, 9 a.m.-6:45 p.m.